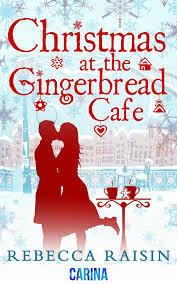 Christmas at the Gingerbread Cafe, by Rebecca Raisin is a gorgeous little novella. Despite reading it out of the Christmas season, I found myself feeling a little wistful and ‘Christmassy’ as I read it. Ms. Raisin has a wonderful writing talent, bringing the reader into the small town where the story is set. The relationships between the characters are realistic, and the characters are well-rounded and likable. I found myself smiling as I saw the relationship between the two main characters developing, particularly as the heroine of the story found her hero to be somewhat annoying when they first meet. Both characters own a small store and this sets the scene for some competitive hijinks between the two of them. This novella is the first in a series for Ms. Raisin – and I can cheerfully say I thoroughly recommend this book and look forward to reading the next in the series.